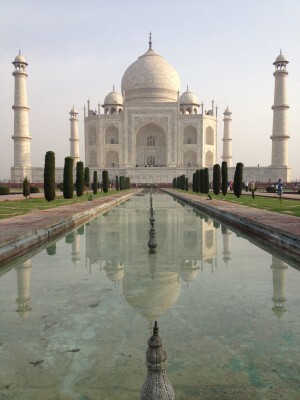 In Agra, I visit the Taj Mahal (Crown Palace) at sunrise and again at sunset. It is magnificent. 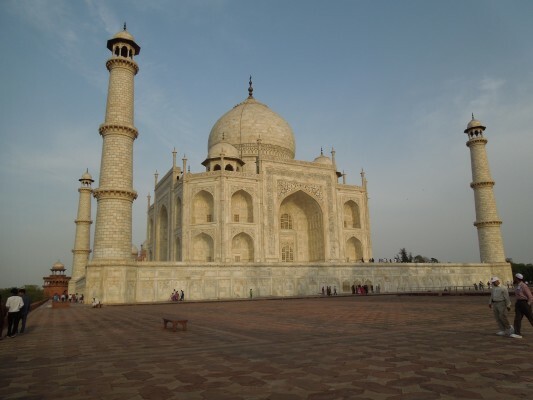 Designed by three architects and built for Emperor Shah Jahan over twenty-two years ending in the 1660’s, it was a mausoleum in honor of his Queen, Mumtaz Mahal. It was constructed of locally quarried white marble found nowhere else in the world, decorated with semi-precious stones (long-since plundered) and her gravesite itself was covered in a blanket of emeralds (also long gone). The building is entirely symmetric in every aspect with one exception. The Queen’s grave is in the exact center of the building. The Emperor’s was placed to the left of it. He had also had a huge mosque built on one side of the Palace and in order to keep things in symmetry, he had an exact copy built on the other side! Obviously, money was no object. Now I am in Kanha National Park, an hours flight west of Kolkata. The purpose here is to see tigers. The size of the park is 1945 square kilometers of which twenty percent is accessible to visitors. There are ninety-six tigers living here. Not great odds of seeing one. After four visits, I had seen claw marks in a tree where a tiger marked it’s territory. 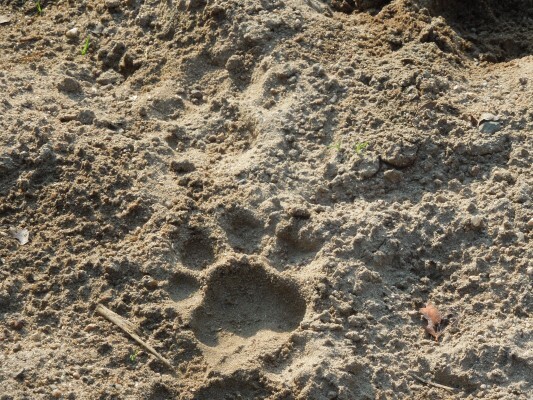 I had seen fresh paw prints in the sand. I had seen no tiger. However, there was high drama on the fifth visit. The jeep in which I was riding approached two other jeeps that were already parked on the road in front of a forested area. The guides signaled my guide to cut the engine and be silent. We waited expectantly as more jeeps arrived and then sat quietly. We waited and waited. The tension mounted. There was a tiger in there just a few meters from us. Would she come out? Would she cross the road? I struggled to see her. I could just make out some stripes, a face camouflaged by the foliage. And then, oh no! she arose and sauntered deeper into the woods away from the waiting throng. Well, I almost saw a tiger. Maybe next time!